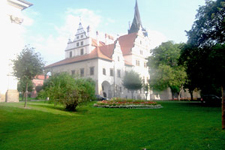 Levoca city, located in the Spiš Region, is a priceless pearl among Slovak cities. 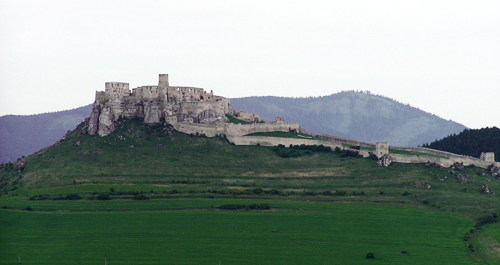 This little town lying in eastern Slovakia has about 14,500 inhabitants. 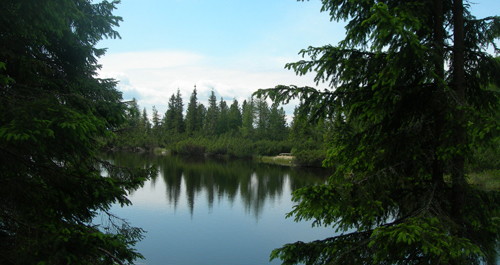 It has been famous for the wooden altar chiseled out of the linden wood by the famous Master Pavol from Levoca. Originally medieval city fortification has preserved up to our times and even nowadays it almost completely surrounds the town. Its oldest parts were constructed during the fourteenth century. 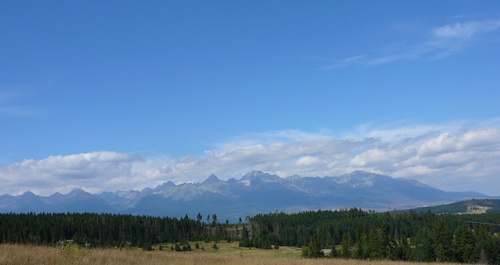 From city gates have preserved Košická, Menhardská and Poľská. Košická gate forms the entrance to the historical part of the city. The Master Pavol’s Square is surrounded by the most precious historical monuments that can be found in Levoca. Tourists can see there two churches. One is the Evangelical Church and the other one is the St. Jacob’s Church. St. Jacob’s houses the famous 18.62m (61ft) tall Gothic wooden altar – the highest wooden altar in the world. It was chiseled out from the linden wood during the sixteenth century. 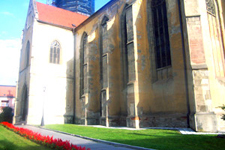 This three nave church was constructed in the fourteenth century and nowadays it ranges among the most important churches in Slovakia. It houses several originally Gothic altars, a Gothic organ and a Baroque pulpit. A Renaissance Town Hall with arcades built in 1550 is situated nearby the St. Jacob’s Church. A Bell Tower constructed in the seventeenth century with bells and a clock you can see next to the Town Hall. It belongs among the most beautiful bell towers in the country. A Cage of Shame also situated nearby the Town Hall is another tourist attraction. It served for punishing girls and women that had broken the strict social rules. Once, even the Major’s daughter was locked there. The Cage was also used for punishing minor delinquencies. Every summer a theatrical performance takes place nearby the Cage. It is called the White Lady of Levoca in memory of a woman that has become famous by betraying her natal city. The White Lady opened the city gates to the enemy just to obtain a noble title for her son. Many beautiful Renaissance houses, minority church, historical scales, Thurza’s house, County House and Master Pavol’s House are other historical monuments that can be seen in Levoca city. 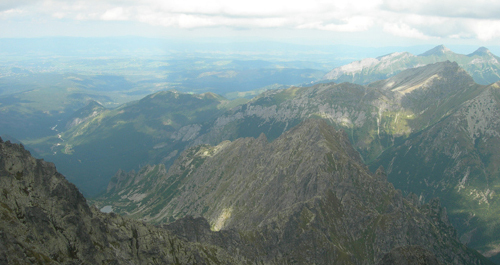 Mariánska Mountain looming over Levoca is the place of annual pilgrimages. 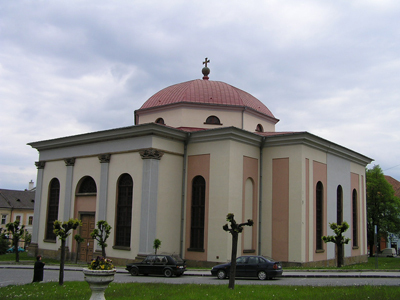 Basilica of the Visitation of the Blessed Virgin Mary was built here in the beginning of the twentieth century. It houses an ancient statue of the Virgin Mary. 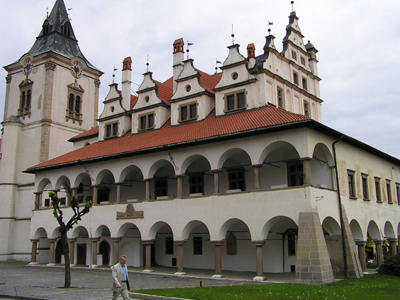 Levoca is a lovely historical Slovakia city favoured not only by tourists but also by art admirers. It really has a lot to offer. The city is home to the Spiš Museum.